An orphan girl winds up in the middle of a battle between a reclusive blacksmith and a demon who is on earth to retrieve his soul. Actual fairy tales are often dark and disturbing. When they get translated to film, most stories like this are revamped into happy fantasies by Disney, so we're always glad to see some tales keep their more sinister roots. 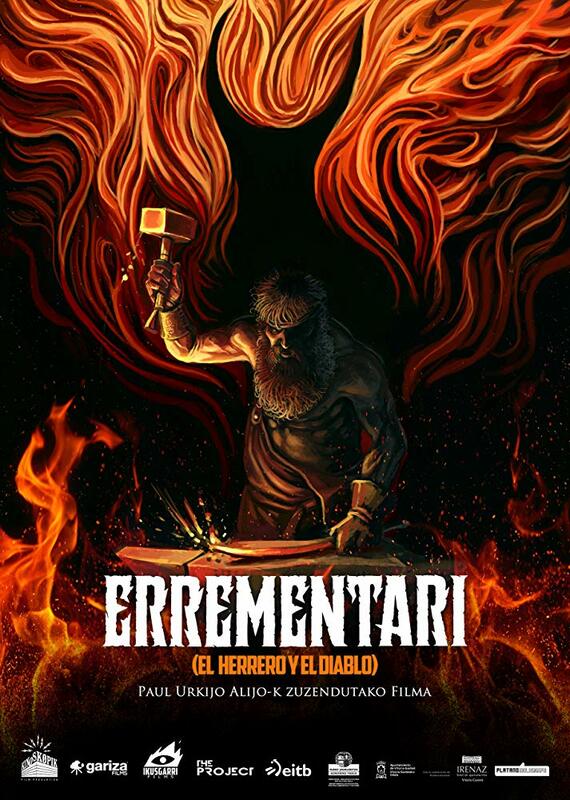 "Errementari" is written and directed by Paul Urkijo Alijo and serves as his feature film debut. 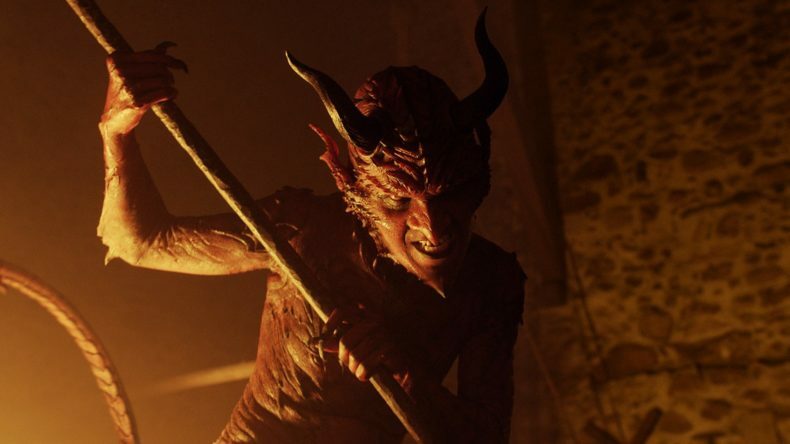 The story is a reimagining of an old European folktale called "The Smith and the Devil," which was once published by the Brothers Grimm in the early 1800s. 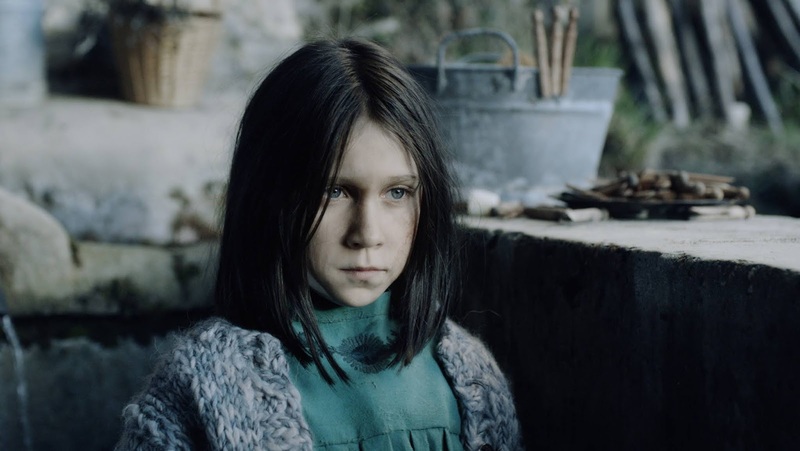 Alijo's version of the fable is about a young orphan girl named Usue (Uma Bracaglia), who is a disobedient, rebellious kid that acts out in part because she is teased about how her mom committed suicide. The kids in her village ridicule and taunt her and tell her that her mother is burning in hell..seriously, wouldn't you act out at that point? One day, Usue finds herself at the home of a reclusive blacksmith named Patxi (Kandido Uranga), who, unbeknownst to anyone in the village, has been holding captive and torturing a demon named Sartael (Eneko Sagardoy) that came to earth to collect his soul. 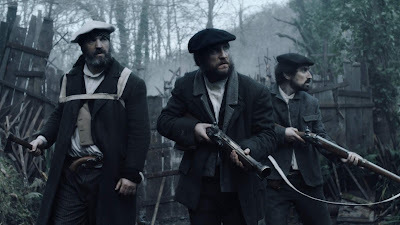 A lynch mob comes after the blacksmith because they think he kidnapped Usue, and Usue gets in the middle of the battle for Patxi's soul, which accidentally make matters far worse. We didn't know much about "Erremantari" before watching it. In fact, we hadn't even heard of it, or the story on which it is based. We came across it while searching for something to watch on Netflix, and picked it based purely on its awesome placeholder picture. We wound up really enjoying this flick and think it is one of the best horror movie hidden gems of 2018. It is an imaginative story about the corruptibility of man, man's tendency to make mistakes, and our ability to find redemption. It very much reminded us of something like "Pan's Labyrinth" when it comes to its subject matter, its protagonist, and its overall aesthetic. The look of the film is rather remarkable. Everything takes place in a village that seems dirty and dingy and old, making it feel and look of its time, something that often gets lost in translation in many movies. The entire story is spoken in ancient Basque, which captures the period and region extremely well. This is how we recommend you watch the movie, though if you have an aversion to subtitles, there is also an English dub available (but come on...#subsnotdubs). The set design is also very detailed, particularly in Patxi's house/workshop where the majority of the film takes place. There's also some exceedingly cool practical makeup work done on the demon characters, Sartael in particular, which we think looks tremendous, especially when he is shown coming out of shadows. We love and appreciate seeing classic makeup work wherever and whenever we can since movies have become increasingly more digital. That being said, the film does use CGI as well, and some of the effects aren't all that great. We remained engaged in the overall story in "Errementari" from start to finish, and we related to the characters no matter how wild it may be. It's not all doom and gloom, there are a couple of moments of darkly humor banter between Patxi and Sartael that lighten up the darkness surrounding such an emotionally investing tale. We very much enjoyed watching "Errementari" and think it is worth taking a chance on if you come across it on your Netflix queue.